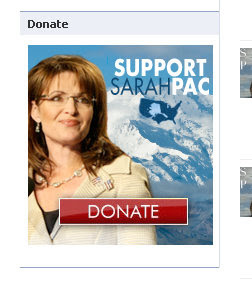 I have to assume that Sarah wants you to donate to some relief effort and that she would never send her followers to her page to donate to her PAC (Political Action Committee.) But, I would assume that any semi-intelligent individual would post the links FIRST and then advertise on Twitter that people go and click on them. (UPDATE) Two hours after her original Twitter post, Sarah Palin posted a message on Facebook saying, "To assist those in need, consider sending a $10 donation to the Red Cross by texting 'Haiti' to 90999." That's a bit under the 140 character limit of Twitter and she could have just said that in the first place. Meshell is coming to town! Woo Hooooooo! Level 21 on Galaga!